Does a listing comply with Regulation D advertising restrictions? Morgan Hedge has, in coordination with legal counsel, incorporated measures that are intended to comply with these rules and avoid a public offering by a hedge fund or investment program that lists with us. These include: password protection of all detailed fund information, representation by investors that they are accredited or qualified through questionnaire and that they observe the 30-day waiting period. The implemented measures make Morgan Hedge compliant with the SEC's 'Lamp Technologies' no-action letter. The 'Lamp' no-action letter, as it is commonly referred to, was a ruling by the SEC which set out all of the elements which a website must contain in order to preserve certain securities exemptions so that the website does not trigger a 'public offering' of securities. Is Morgan Hedge 'Lamp' compliant? Does the appearance in the Top Performer Lists violate Regulation D advertising restrictions? No, all fund names are abbreviated for unregistered users. 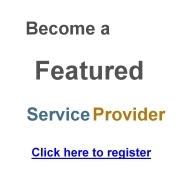 To obtain more information about the specific fund or investment program every user needs to be registered. In Newspapers and in other Media, such as Newswires and -services, names of unregulated investment vehicles and selected returns are frequently reported as part of a news story. It could be argued that this would also violate Regulation D, which is not the case. However, if a fund or investment program prefers not to be shown, we will exclude any requested fund from being published in these lists. Other data that can be accessed by registered users is not affected by this exclusion. What are the fees associated with listing funds or investment programs in the Morgan Hedge Database? A Listing in the Morgan Hedge Database is free of charge. A Premium Listing is available for a small monthly fee, starting as low as �?� 100.- per month (yearly subscription) for a single Fund or �?� 375.- per month for an unlimited number of Funds. This listing gives Managers the opportunity to publish extensive details and upload offering documents, Reports, Powerpoint Presentations and much more. Newly registered Funds or Investment Programs are eligible to receive a Premium Listing for one week for free, without further obligation. For a comparison between a Premium and Basic Listing click here. Do members have to pay a subscription fee for the Morgan Hedge Database? We do not charge fees to view and search our Database. However, Morgan Hedge offers a basic and premium membership which allows users to access more information and offers them additional tools for fund screening. 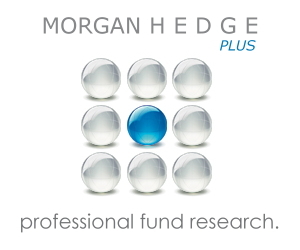 What are the advantages of listing funds and investment programs in the Morgan Hedge Database? The biggest advantage of a listing with us is that it enables you to reach a large number of potential investors. While most other databases charge high access fees, we charge no fees at all. That sets us apart from the competition and is the reason why more and more private investors turn to us for information on hedge funds and alternative investments. We also publish our database in many european languages which guarantees an even wider audience. We are the market leader in our field in the German speaking countries in Europe (Austria, Germany, Switzerland, Liechtenstein, Luxembourg). The Morgan Hedge Database is widely used as a research tool by private investors, institutions, consultants and pension funds in identifying hedge funds for investment. Who are your registered users? Our registered users are High Net Worth Individuals, Private (Retail) Investors, Institutional Investors, Professional Investors as well as Researchers, Analysts and Journalists from all over the world. How is information for my firm, fund(s) and investment prgram(s) updated and may I view and amend this information? After logging on to our website, with your username and password, you can view and update your Firm and Fund profiles as well as monthly performances online. When are the updates and changes to funds / investment programs published? Most updates are published immediately. Some performance measures might be calculated and published between 23.00 and 02.00 GMT. What happens if there are no performance updates for my fund or investment program? After 100 days of inactivity your fund or investment program will be excluded from our databse search and from our index calculation. However users who have saved your fund in their watchlist can still access your profile. After updating your performance your fund or investment program will be automatically reactivated. Until when do monthly performance updates have to be posted? It is up to you when to post your monthly performance data. However please keep in mind that the earlier your performance data is reported the greater the probability that your fund will appear in our monthly performance tables which are widely viewed. In what languages is your site published? Currently in German and English. In the very near future also in Spanish and French. What performance statistics are used and how are they calculated? We use our own prorietary system to calculate the performance statistics for the analysis of each Fund / Investment Program. This way our members can make a qualified and objective comparison. Please take a look at our methodoligy here. Any Investment Manager / Advisor with at least one active Fund or Investment Program can register on our website. What happens after the initial registration? After the initial registration you must complete your Firms Profile and enter at least one Fund / Investment Program. The complete registration process takes only about 15-30 Minutes. How do you verify the information provided by the Manager? We reserve the right to contact the Manager to request additional information or offering memorandums and other material that we deem necessary to confirm your registration. However in most cases, where extensive information is provided there are no additional measures needed to confirm or verify your information. How long does it take to post monthly returns? It usually doesn�? ?t take more than 5 minutes to update your monthly return data. That�? ?s all! How can I provide more detailed information about the instruments, holdings and regional allocations of a fund? If you want to provide more specific information for potential investors you can always upload spreadsheets, graphs and other material that includes more detailed information about your fund�? ?s allocation and holdings. What happens if Performance Updates are not provided by the Manager / Advisor / Fund / Investment Program? After 100 Days of inactivity your listing will be temporarily suspended and your Fund will be excluded from our database. Only Users who put your Fund on their Watchlist can still access your Profile. If you enter all the necessary data, your listing will be reactivated. What Documents can be uploaded? You can upload all sorts of documents related to your Fund / Investment Program. E.g. Offering memorandum, Prospectus, Application, Presentations, Monthly Reports, Third Party Reports, Audit Statements etc. How do I upgrade to a Premium Listing for an existing Fund or Investment Program? When logged in, go to �? ?Edit Fund / Program�??. Choose the Fund you would like to upgrade and click on �? ?edit listing options�?? or scroll all the way down to the Listing Options. Simply mark Premium Listing and the desired payment option. Click Save and you are done. Do we need to renew our listing at the end of each term? No, if you do not cancel your listing before it expires, it will be automatically renewed for another contract term. However a simple email will be enough to cancel your subscription. Our experience shows that our members appreciate and make extensive use of the opportunity to view additional material provided by the Funds or Managers. All documents related to your Fund or Management Firm can be uploaded. Does a link have to refer to the funds or managers webpage? No, a link can refer to any location where the documents are stored, regardless of the url. Why should documents be uploaded as PDF Files? It is advisible to upload PDF Files only since they can not be altered by the viewer. Is there a limit to the number of documents that can be uploaded? Currently we do not have a limit. However we reserve the right to limit the number of documents that can be uploaded in the future. We also reserve the right to delete documents that are not related to the Fund or Manager or contain other material that we deem unacceptable or not appropriate. Do not upload confidential material to our website. Since we cannot exclude any uploaded document from beeing viewed, our members will have access to all available material. If you would like to delete documents from our server, please go to the �? ?Upload / Edit Documents�?? section on our website.